Dr. Robert Miller is a neuroscientist, researcher and administrator in the GW School of Medicine and Health Sciences. He is a professor in the Department of Anatomy and Regenerative Biology and was installed as the university's Vivian Gill Distinguished Research Professor in 2015. 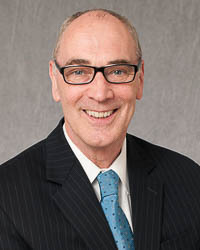 Prior to joining GW in 2014, Dr. Miller served as the vice president for research at Case Western Reserve University where he was also the director of the Center for Translational Neurosciences, professor in the department of neurosciences and the Allen C. Holmes Professor of Neurological Diseases. Dr. Miller’s awards and honors include the Outstanding Faculty Award at Case Western Reserve University, the Jacob Javits Neuroscience Award, the John S. Diekhoff Award for Excellence in Graduate Training and the Charles Judson Herrick Award from the American Association of Anatomists. He is also a fellow of the National Academy of Inventors, the International Society for Neurochemistry and other national and international societies. Dr. Miller received a bachelor’s of science in zoology and a Ph.D. from the department of zoology at University College London. Dr. Miller has published more than 200 papers in the area of neural development and disease with a particular interest in the brain and spinal cord. Gina Lohr has served in multiple roles within OVPR, most recently as Associate Vice President for Research. She is a Certified Research Administrator and has more than 12 years of experience in academic research administration at the George Washington University (GW). Gina’s portfolio includes overseeing the Office of Sponsored Projects and its Research Enhancement Unit, management of core facilities, data management and analysis, human resources, budgeting, cross-disciplinary research initiatives, communications, systems innovation and overall OVPR operations. Gina has served as a member of the GW Committee on Classification and Compensation, the GW President’s Council on Diversity and Inclusion, the university’s Sexual Assault Prevention and Response committee, the university’s Benefits Advisory Committee, and the planning committee for the grand opening of the Science and Engineering Hall. Gina is an active volunteer with organizations that support survivors of sexual assault. Sheila Garrity joined OVPR in June, 2014 and is tasked with providing highly visible and responsible leadership in the development and administration of institutional policies, procedures and programs as they relate to research integrity and compliance. She will partner with key stakeholders around the institution to develop a strong research integrity infrastructure. In her role, she oversees the operations of the Office of Laboratory and Radiation Safety; the Office of Human Research; the Animal Research Facilities; and Regulatory Affairs. 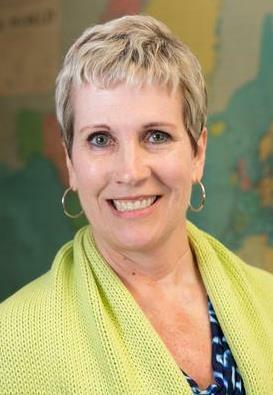 Ms. Garrity is a national leader in the fields of research integrity and the responsible conduct of research education. She comes to us after spending over 20 years at Johns Hopkins University School of Medicine where she most recently served as the Director of the Division of Research Integrity. Ms. Garrity earned her MBA and MPH at Johns Hopkins where she also received a Certificate in Health and Human Rights and her JD from the University of Maryland School of Law. Associate Vice President for Clinical and Translational Research, Lisa M. Guay-Woodford, M.D. Lisa Guay-Woodford, MD is an internationally recognized expert in the field of polycystic kidney disease. Her major research effort focuses on identifying the genetic factors involved in the pathogenesis of autosomal recessive polycystic kidney disease (ARPKD). Dr. Guay-Woodford has a dual appointment at GW and Children's National Medical Center as the Director of the Center for Translational Science. She also serves as the Principal Investigator and Director of the Clinical and Translational Science Institute at Children's National (CTSI-CN). Thomas P. Russo became OVPR’s first Assistant Vice President for Corporate Industry Research in October, 2012. He is tasked with forging partnerships with private companies and foundations to fund research and other special projects and initiatives at GW. 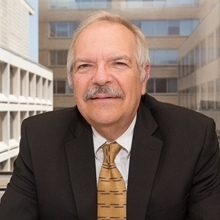 He works closely with faculty in GW research centers and institutes who are looking to connect their innovative research projects with industry leaders. Tom also works closely with GW’s Office of Innovation & Entrepreneurship to help develop and commercialize technologies initiated at GWU. Before coming to GW, Russo spent over 20 years cultivating relationships between private companies and the public sector. He was the Chief Financial Officer for both public and private corporations and helped found many start-up companies, many of which are highly successful today. As Chief Financial Officer, he managed licenses, patents, and contracts with major university for research grants and intellectual property and successfully raised over $200m in equity. Prior to his corporate roles, Tom worked at the World Bank (IBRD)and its private sector affiliate, the International Finance Corporation (IFC) where he was responsible for providing debt/equity funding for major projects in the energy, industrial and tech sectors. Russo received his BA in Government and Foreign Service from Georgetown University and his MBA in International Business and Finance from GW. Jim started his private sector career as an early stage venture capital investor, most recently at incTANK Ventures, where he was the managing director. Some previous and current investments include Agamatrix, Nexaweb, Ulterra, Zymetis (now Aemetis), FlexEl, FiscalNote, and TravelBank. Before becoming an investor, Jim was an academic researcher studying how business, government, and academia work together to create new innovations in high technology industries. He has been a researcher at MIT, Harvard, University of Tokyo (Fulbright Fellow), ETRI (NSF EAPSI Fellow), STEPI (Korea), and KAIST. He was named in 2015 by Washingtonian Magazine as one of the Top 100 Tech Titans in DC and by Hot Topics as one of the Top 100 Entrepreneurship Professors worldwide. Jim received his Bachelor’s and Master’s degrees from Stanford University and was a Ph.D. candidate at MIT. Steve is a serial entrepreneur, corporate executive and university technology commercialization executive. He started his career in research and then moved to research management and general management for Union Carbide, Akzo Coatings, GE and Alcoa. 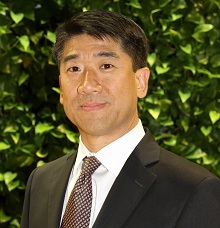 During his eight years with GE, as General Manager of GE Electromaterials, he commercialized a revolutionary circuit board material for the emerging computer and telecommunications industries and as General Manager of R&D and Engineering of the $500M GE Silicones Division instituted systems to double new product sales. As an entrepreneur, Steve was CEO of a revolutionary composite manufacturing venture and a medical device venture, in addition to serving on boards of a number of early stage ventures. Steve’s passion for commercializing early technologies and growing entrepreneurial communities led him to university technology commercialization operations. For over seven years, he served as Vice President of Utah State University’s Office of Technology Commercialization and Senior Director of Ventures and the Medical Device/Software/Engineering Portfolio Group at the Johns Hopkins University. During his four-year tenure at Utah State, Steve tripled licensing revenue and moved the institution into the top five in the nation for start-ups per research dollar. During his three-year tenure at Hopkins, the institution increased start-ups from a historical annual level of four to 12 in 2008, with $76M venture capital raised. Steve has an A.B. in chemistry from Cornell University and a Ph.D. in organic chemistry from Harvard University.